How much more you'll pay for insurance after a speeding ticket depends on the state and the insurer, our analysis found. If you’ve gotten a speeding ticket recently — or more than one — you may be bracing yourself for an increase in your car insurance rates. But just how much financial pain should you expect? NerdWallet compared auto insurance rates in two states and discovered that when it comes to a speeding ticket, insurance companies vary. In general, insurance providers determine their own degrees of retribution for drivers caught speeding, except in states that regulate increases. Some insurers bring down the hammer; some shrug off speeding tickets. In Illinois, for example, we analyzed the rate increases that four large insurers imposed on a driver racking up one, two and then three tickets within a year — all for going 11 to 15 mph over the limit. State Farm levies a small percentage increase after the first ticket and ignores the others. Farmers and USAA both impose double-digit increases after each ticket, but because USAA starts at a lower rate, it’s still a comparative bargain at the end. American Family’s rates showed only single-digit increases, but because the company’s starting rate was high, the end result after three speeding tickets was also high. In Florida, we found a similar pattern for State Farm: a slap on the wrist after the first speeding ticket and no penalty for the rest. Geico’s rates suggest that the company isn’t too concerned about your lead foot — its premiums held steady. Progressive, on the other hand, delivers double-digit increases for each successive ticket. USAA started and ended with the best rate. Methodology: NerdWallet researched car insurance rates for 30-year-old men and women in eight ZIP codes in each state, with policy limits of 100/300/50 and collision, comprehensive and uninsured motorist coverage. Coverage includes $50,000 for medical payments in Illinois and $50,000 for personal injury protection in Florida. These rates are averages. Your rates will be different. If you do get a rate increase, it will come at renewal time for your policy. While you may dread opening that envelope, you’re not necessarily doomed to higher premiums. There’s a chance your insurer won’t look at your latest DMV report before renewal and won’t be aware of your troubles. A speeding ticket typically stays on a driving record for one to three years, depending on your state. If you’ve gotten a ticket and a related insurance rate increase, ask your agent about the company’s surcharge schedule. This will reveal how long you can expect to suffer the higher rates. You’ll also lose any good driver discounts you had. 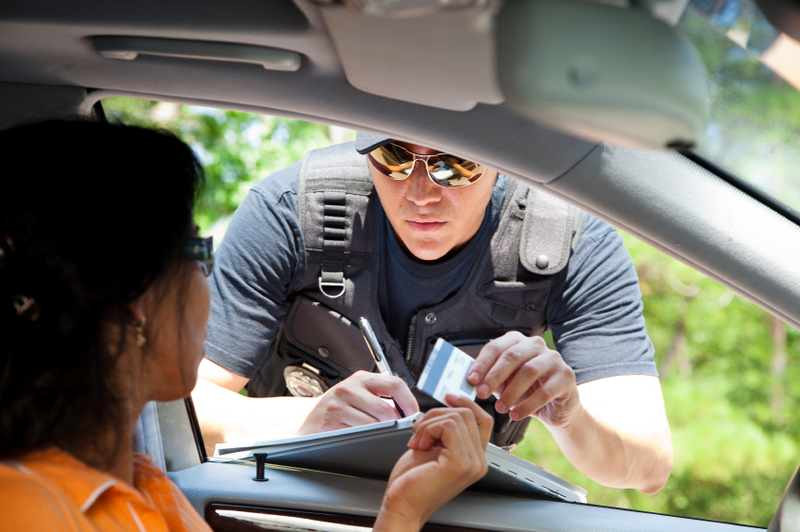 A speeding ticket typically stays on a driving record for one to three years, depending on your state. Don’t be afraid to shop around. As you can see from the above rates, comparing auto insurance rates can save you hundreds or even thousands of dollars — even if you’ve had a few flashing lights in your rearview mirror. What kind of rates can you expect for your driving problems? NerdWallet’s car insurance estimator tool can show you.